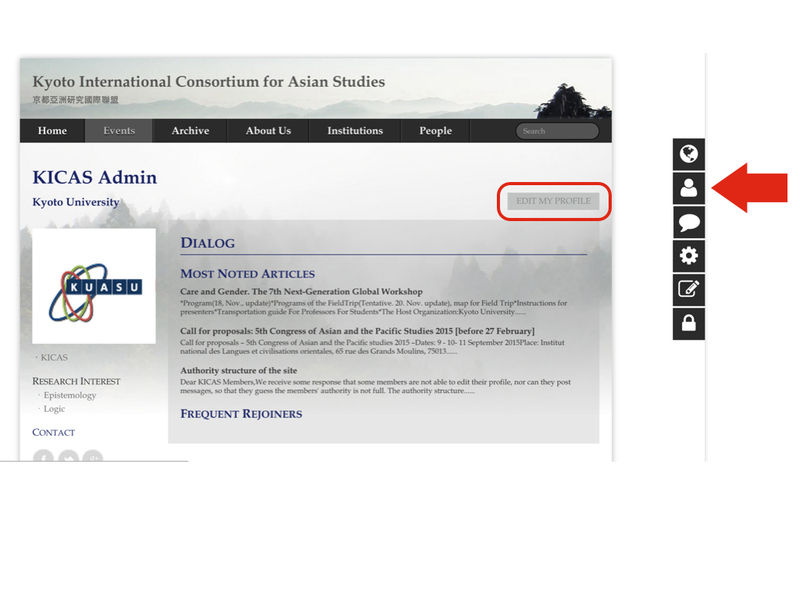 Kyoto International Consortium for Asian Studies :: How to use the platform? How to use the platform? How to publish a post in multiple forums? 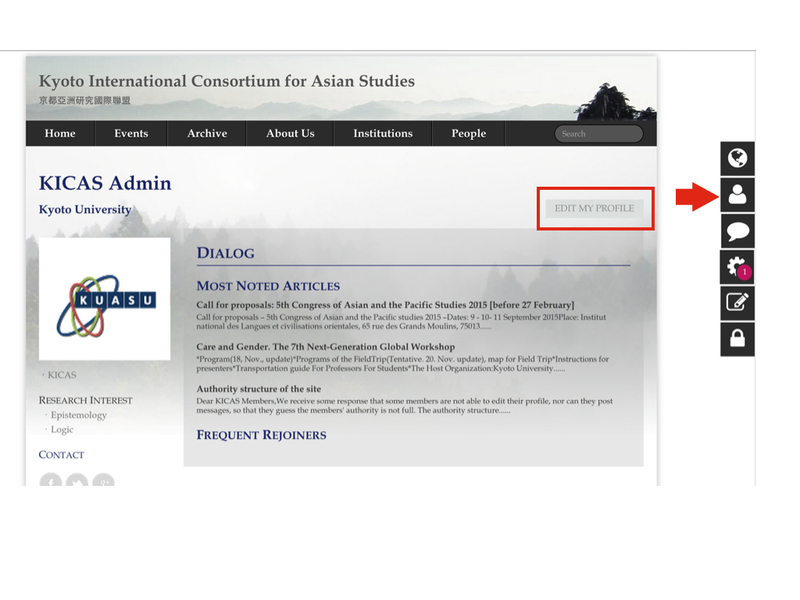 One can publish a post in multiple forums by using the function of "Tags." In the Editing page, one can insert the title (Tag) of the other forums so that the post can go to both your present forum and the tagged one. 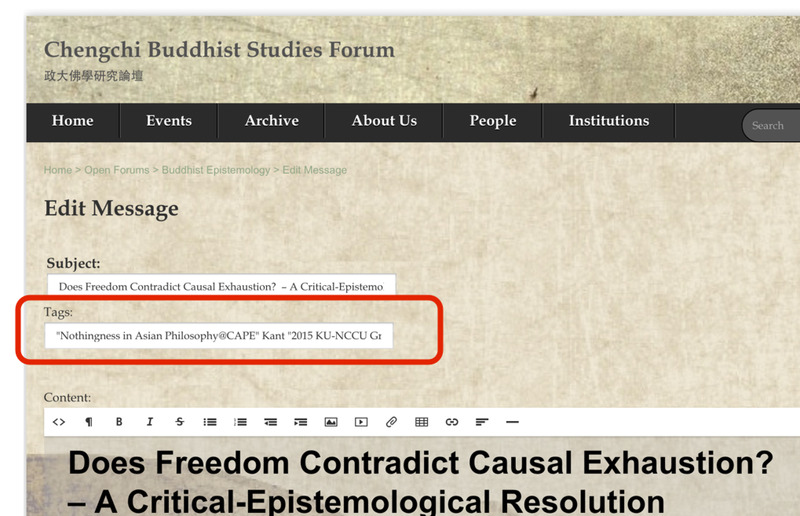 For instance (below), when publishing the post in "Buddhist Epistemology" at the site of CBSF, I also publish the post in "Nothingness in Asian Philosophy" at the site of CAPE and "2015 KU-NCCU Graduate Workshop on Asian Philosophy" at the site of KICAS. Here are some rules for using Tags on the platform. 1. Inserting Tags in the column of Tags, the post will be published in the tagged forums automatically. 2. 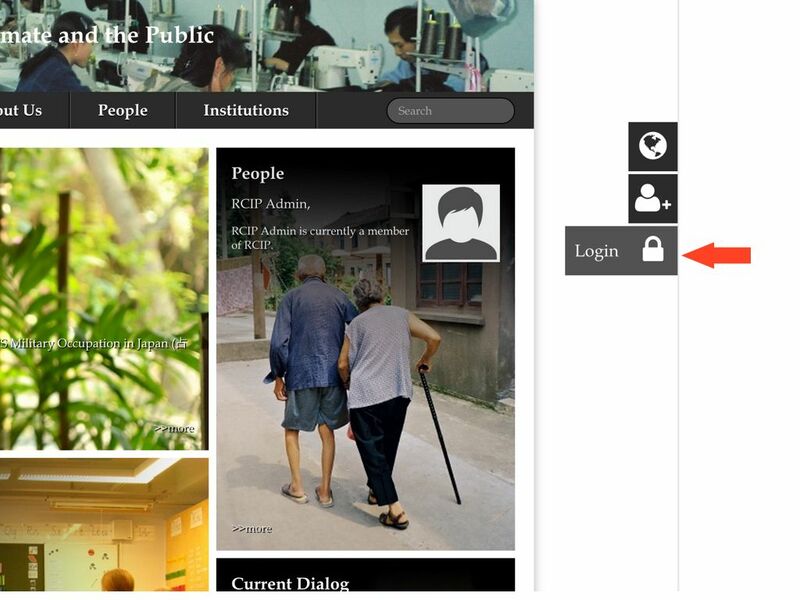 How to use Private Communication? How to edit my profile? How to upload and manage my avatar? Copyright ©2019 MEPO ACADEMIC CLOUDS & KYOTO INTERNATIONAL CONSORTIUM FOR ASIAN STUDIES, All rights reserved.